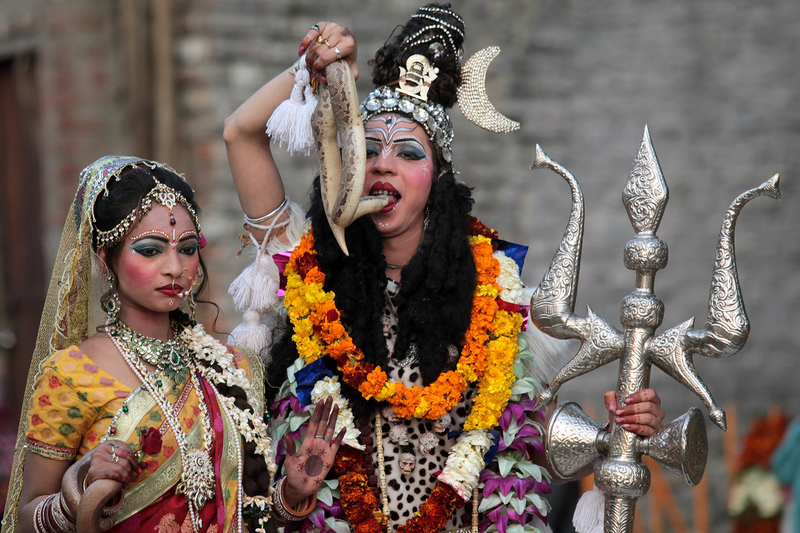 Hinduism is the most popular religion in India, Nepal, and some parts of Southeast Asia. There are close to a billion followers,which makes it one of the largest religions in this world. It doesn’t have a single deity, set of rules, a set scripture, or a set teachings. One thing that attracts a lot of Hindu followers is the fact that it is comprised of many smaller religions that all share common theme, therefore the term “Hinduisms” is a better word to use. Some of these overarching themes is the belief of eternal religion described as a flowing river, another theme is dharma or your personal duties in life. Before getting into the festival, let me explain a little about Lord Shiva. He is the destroyer of the universe and also happens to be one of the three creators of the universe. Shiva’s purpose is to create life and to bring a cleansing or change for the betterment of the universe. This cleansing is viewed as a positive for Hindus as it revokes imperfections of our world, mimics the cycle of reincarnation after death. Lord Shiva is known for having a wild temper and is believed to only be calmed down by his wife Parvati. She is also known as another great power force of the universe, the goddess of love, fertility, and devotion. She was once a dark skinned girl who was pursuing Shiva but he would not have her because she had dark skin. Through the power of yogic meditation, she was able to get into contact with god Brahma and he pitied her and turned her skin golden so Shiva would not be able to resist her. Maha Shivaratri is the two day celebration for the worship of Lord Shiva. The celebration falls on the 13th night and 14th day of the Hindu calendar month of Phalguna every year. Many Hindus believe that those who worship Lord Shiva on the day of Maha Shivaratri would be cleansed of all their sins, making it one of the most important festivals in Hinduism.